I received the most beautiful orchid from a secret admirer yesterday morning. This unexpected gift put me in the best mood. As I was searching for great deals and fashionable duds for you I felt like featuring some flower printed styles like the 2 stunners below. Hope you like them. 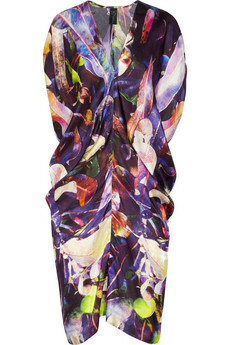 Kou printed satin twill dress by Maria Cornejo, $695. Dress. 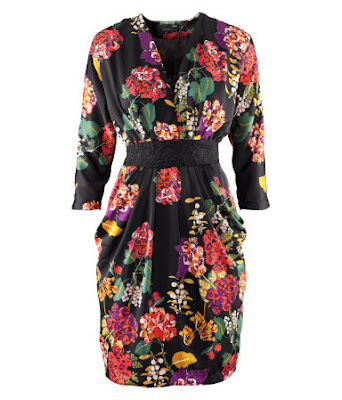 Conscious Collection by H&M, $39.95.